Hey, Everyone! Happy Friday! I’ve got a busy weekend coming up. I’ve got a bridal shower out of town to go to tomorrow and then on Sunday, I’ve got some prom makeup trials to run through with a couple girls. I’m excited, but I’m defiantly gonna be worn out come Sunday night. 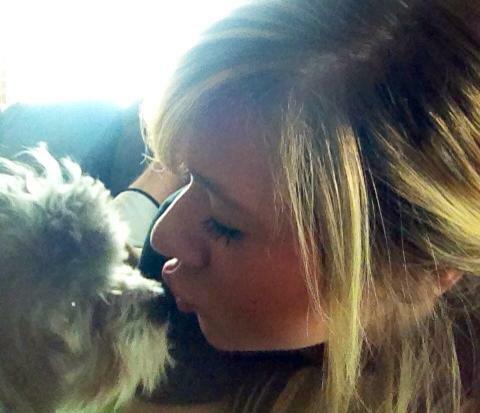 I hope you guys have some fun and exciting things planned for yourself this weekend as well! Today is another Gotta Have It or Live Without It product review! This is over the Ben Nye Final Seal Setting Spray… you know, the one that I’ve been talking about for a little over a week now and am just finally getting to haha But I promise you won’t be disappointed, it’s worth the wait! I wanted to upload a picture of it for you guys and I think I’ve successfully done that, but I really don’t know. I just tried to pull one off of Google, but it wouldn’t paste on here for some reason, so I had to download a picture and do it that way. Last time I did that, the picture didn’t show, so hopefully this time, it works! If it doesn’t, the review is really all that matters anyway. You can go ahead and Google a picture of this product since apparently I’m not smart enough to figure it out. haha So let’s get to it! You know how every now and then you stumble upon a product that is just so unexpectedly amazing? That’s what this product was to me. It’s now one of my (very few) holy grail products. Let me just start off by saying that most products don’t do what they say. This one, however, does. It keeps my skin matte and sealed allllll day long! My oily skin is very hard to control sometimes… typically, I can only get a good one or two hours out of foundations before shine starts to break through. My oily skin beauties will be able to sympathize with me on that one! But with this uh-maze-ing setting spray, I can easily pull off upwards of 8 hours or more of wear and, even then, I only need just a little bit of powder around my nose and I’m good to go again! This is the most amazing shine control product I have ever used and I just wanna shout that from the rooftops! While I do have acne-prone skin, this spray has never once broke me out. It’s also never dried me out, which gave me the security I needed to use this on my clients as well. Since I started using it on them, about 9 or 10 of my clients went out and ordered it and I’ve heard nothing but awesome feedback from the rest. It keeps them matte for dances, weddings, parties, pictures, anything! I’m able to safely use this on anyone, no matter their skin type. It truly is a miracle in a bottle! The only downfall is that the spray bottle it comes in kind of struggles sometimes. Not a big deal, just go buy a $1 spritzer bottle from Walmart and call it a day! Another thing is that this spray has a minty smell to it, which again, is not too big of a deal since the smell goes away about 10 to 15 seconds after you spray it on. Final verdict? GOTTA HAVE IT! 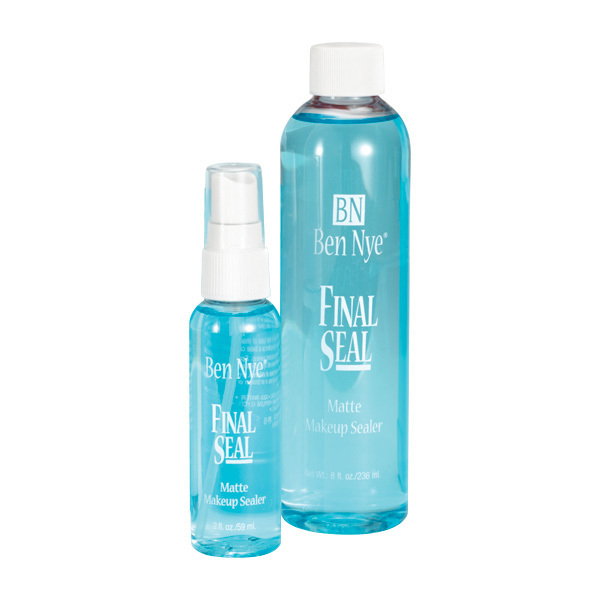 You guys, the Ben Nye Final Seal Setting Spray is amazing! I can’t stress that to you enough. You can find this at any store that sells theater makeup and, of course, online as well. The price varies depending on the size, but I got the huge bottle for around $20. It’ll last me awhile! If anyone has trouble controlling their shine or has a special event coming up where their makeup needs to be spot on and not budge the whole time, this is the product for you! Well, what are you waiting for? Go buy it!